Either you got a Samsung Galaxy smartphone or tablet or both, there is a good possibility that you have used Odin. Odin is really an essential tool if you have to install a stock firmware or flash a custom recovery or Chainfire’s Auto-root package. If you need to install any file with .tar or .tar.md5 extension, you must use Odin. While in most cases, flashing a firmware, custom recovery or root package goes successful, sometimes the easy procedure does not end up as expected. The very glimpse of the big green PASS! message on Odin puts a victorious smile on our faces but have you ever had the opportunity to encounter the red signal with FAIL! message? In some cases, the failed installation does not affect the functioning of the device, but sometimes, a bad flash either bricks the device or puts it in a state where it fails to boot normally. It all depends on what type of installation failure you have encountered in Odin. Today, we’ll see how we can fix the “invalid ext4 image” error that you might encounter while flashing the stock firmware on your Samsung Galaxy device. 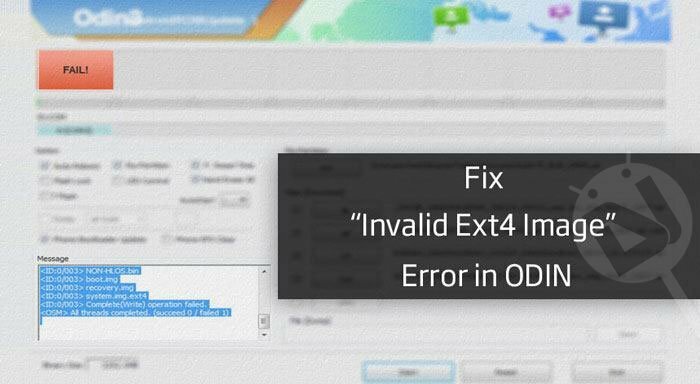 “Invalid Ext4 Image” error is an error that can be found while attempting to flash a firmware using Odin with a downgraded (or sometimes upgraded) bootloader to the one currently installed on a Samsung device. So, before you proceed to the actual workaround for the issue, let’s dig a little about what exactly EXT4 is! Actually, EXT4 (fourth extended file system) is a file format for Linux that aims at extending storage limits and add other performance improvements to devices that use Linux kernel. Since Android is based on Linux, it also uses EXT4 storage infrastructure. When the Android OS was launched in 2008, it used EXT2 but Google decided to upgrade its storage system to EXT4 in 2010. Thus, when people talk about EXT4 with reference to Android, they actually refer to create an EXT4 partition on your SD-Card. For example, if you got an SD card or device with 16GB storage capacity, you have 14GB FAT32 space and 1GB EXT4 space. (the 1GB space remains non-existent for the user). Having an EXT4 partition on the device allows you to move apps to the else non-existent EXT4 partition and thus you get more free space on the internal storage. Having been acquainted with EXT4 file system, let’s now head to our real topic. Since the “invalid ext4 image” error is closely associated with storage partitions on your device, it can be fixed by repartitioning the internal storage. The issue often pops up while flashing stock firmware on Samsung Galaxy devices that are available in various internal storage (like 8GB, 16GB, 32GB, 64GB, etc.). The system partitions on Android devices are assigned depending on the internal storage and when you attempt to flash a firmware on your device, you sometimes need to provide the PIT file that tells the firmware to allocate the storage partitions according to the partition map provided by the PIT. On non-Samsung devices, wrong partitioning sometimes results in reducing the internal storage to half. For example, if you got a phone with 32GB internal storage, it might show only 16GB space after flashing firmware. 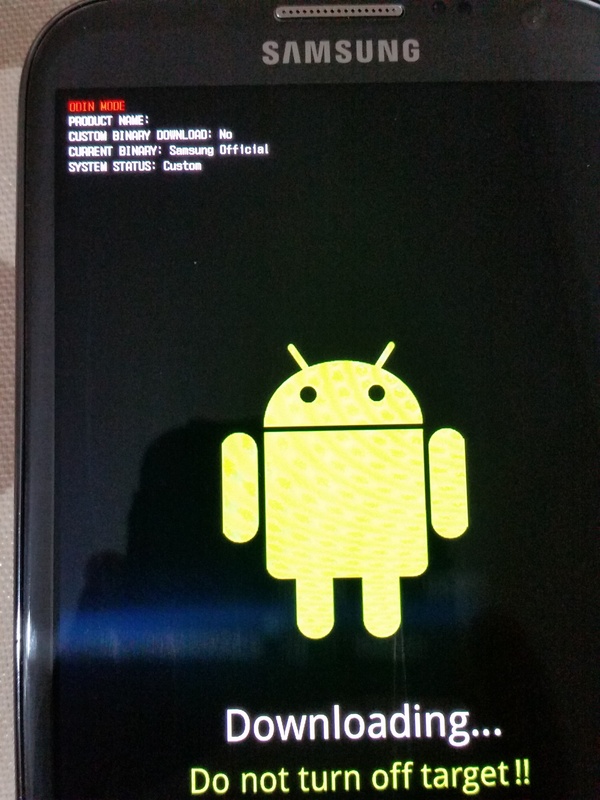 I have encountered this issue a couple of times on my Nexus 5 and LG G2. 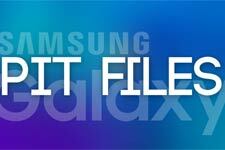 So, in order to solve “invalid ext4 image” issue on your Galaxy phone or tablet, you’ll need to get the PIT file (the file that determines the partition on Samsung devices) for your device. 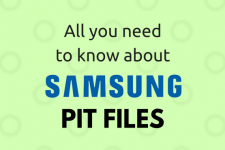 You can find the correct PIT file for your device on various forums. In case you don’t find it, you can manually pull it from your device using Heimdall tool. Make sure that the PIT file you use is exactly for the same model number and storage capacity as yours. If you have a Galaxy Note 3 SM-N9005 (32GB), for example, the PIT must be from the same model. I got a collection of PIT files for some Galaxy devices. If you have the same model, you can download from below. You can find out your device model in Settings> About. Did not Get the PIT for your Device? As I mentioned above, repartitioning the device by telling the firmware that your device is a 16/32/64 GB variant can fix the “invalid ext4 error”. 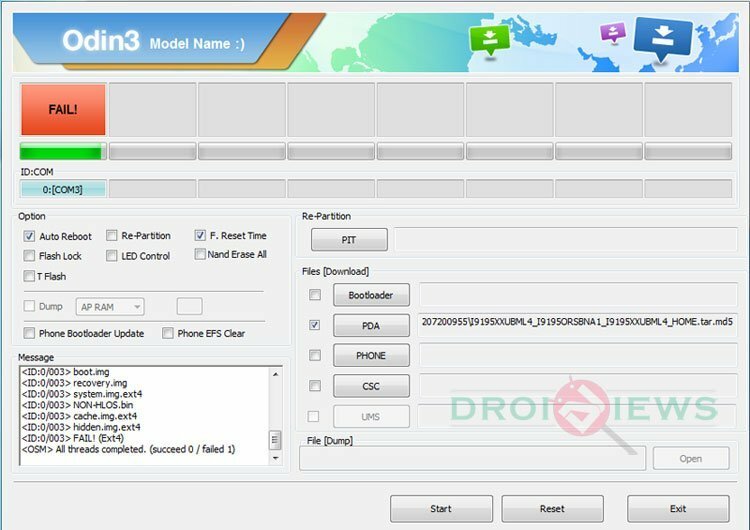 Having grabbed or extracted the correct PIT file for your device model, all you need to do is to install it along with the firmware file. The procedure is just the same as doing a normal flash with Odin, but you need to add the PIT file too. Download the firmware file you want to install. Download latest Odin and unzip the file. Make sure you have installed Kies or Samsung USB drivers on your PC. Enable USB Debugging on your device by going to Settings> Developer options. In case the device is unable to boot, skip this step. Backup your data and apps and charge your phone to have at least 60% battery level. Turn off the device and boot it into the Download Mode. If your device is stuck in a boot loop, long press the Power button until it turns off, or just pull out the battery and reinsert it after 20 seconds. You can get into the Download Mode by holding the Volume Down+Home+Power keys simultaneously for 2-3 seconds. When the warning screen with a yellow triangle appears, just press the Volume Up key. Open Odin folder and launch the tool by double-clicking the executable file. Now connect your device to computer using the original USB cable that came with your device. The message box on Odin must show “Added! !” text for successful flash. If you do not see it, try to re-install the drivers, enable USB Debugging, try a different USB port and reboot the PC. Now click the PIT button and select the .pit file you downloaded. Then click the PDA/AP button on Odin and add the firmware file to this field. Since you are going to flash the PIT too, you must not forget to check/tick the Re-Partition option on Odin. Check the screenshot provided below and make sure that you have taken care of the things highlighted in red. Okay, now click the Start button in Odin. The installation procedure should go uninterrupted now. Just wait until the ID:COM port turns green with PASS! message. So here ends our tutorial on fixing the invalid ext4 image in Odin while flashing stock firmware on Galaxy devices. If you got some question or you just want to share your experience, please let us know via comments below. Cheers! i cant extract it or make it with pit magic for some reason. my sm-g530f stucks on logo i dont know the band version of my phone how can i find the right stock rom for it? HE llo Rakesh Bro i need PIT file for J200G please reply. please send the link to [email protected] kindly bro . Brother, you are my hero…I was tried to flash my cellphone many times and always received the message “FAIL”, buy thanks to you I got the PIT file and will flash together with the ROM file and Kablam ! I don’t receive any error message. Thanks a lot for your help.- Blessings from El Salvador. anywhere for this one. Can I request your help in finding one? Do you have PIT file for Samsung J3 2016 (SM-J320G), XID (Indonesia) version? Do you have pit file for Samsung g530h.? does PIT file can solve for system.img ext fail aswell ? do you have pit file for samsung SM-G750H ? You have SM-J110G pit? my phone is not working, odin mode appeared. please give me pit, i need that so bad. What happens when you try to install the single file firmware? Need the pit for SM-J110F. Facing same issue as Jenih. i’ve tried all the link in 4shared to download this file but no luck instead all ads are coming up ..
thanks man.. i will try this later and get in touch with you.. Thanks a bunch. Using your PIT file fixed my ext4 Fail error while flashing Samsung stock firmware on my SM-N910F. I did encounter the never-ending logo screen and then after trying to boot into Recovery got the falling down Android and the words “No Command”, but then after taking the battery out and rebooting into (stock) recovery again it worked, did a factory reset and restarted, BAM! it worked! I’m SO relieved! THANKS! Thanks for the appreciation! Glad to know it worked for you! please PIT for samsung A-9000 TGY. Thank you for the article and thanks for providing the PIT file! (N910F). It did clear the ext4 error. Although when the phone started back up it told me the file system or something was corrupted and I had to do a reset. After I hit reset it hung on the initial Samsung Galaxy Note 4 screen. Not really. But don’t think it’s the same problem discussed here. After using the PIT file I’m not getting the ext4 error. Now I keep getting mmc read errors. I can get into ODIN, install the stock firmware np, but in the end it’ll fail to boot and show that mmc read error. Hopefully its not an actual hardware fault. I’m just downloading a stock/repair firmware. See how that goes. Yes, it looks a hardware issue to me too. like the PIT link to file SM- J500M ??? Eu tenho um Samsung Galaxy J5 (SM-J500M/DS) você pode me enviar um link do PIT.? I have an Samsung Galaxy J5 (SM-J500FN) i dont finde the pit anywhere can you send me an link? Hi, I have added the link for PIT file for Samsung Galaxy J5 SM-J500FN in the post. You can download it now. Hello, I have Tab A SM-T550, but I sincerely can’t find a pit file anywhere for this one. Can I request your help in finding one? Thank you very much for the quick answer, I just want to ask if GT510 actually works, I’m a little afraid to screw it up even worse. You can install any stock firmware if your Tab is not carrier-branded. I just added the PIT file for SM-G750H at the end of the list of PIT files in the article. Download now. I have Galaxy Note II N7105T, 32G. All the pit files that i have tested don´t work. Anyone have the correct pit file? Is your Note 2 Telstra, Australia version? My version is BRAZIL. I believe it is the same model of Australia version. What error do you get in Odin while installing the firmware and PIT? I have Galaxy Note 10.1, N8000, 16GB. I need pit file. But is’s not in your list. Is it for N8000 16GB? Because it didn’t work for me. The PIT works for the 16 and 32 GB models both. But unfortunately for me said Fail! I tried some other ROM (one file and 4 files). The model is GT-N8000, 16GB. I bought it from Tehran at 2013 and on it’s back it say: “Made in Vietnam”. Do you have ROM file (4 file) for it? I tried to look for the multi-file firmware but didn’t find it. I tried ROM file with different versions of ODIN. All of them gave me Fail!. Single file didn’t worked too. I try the links you sent. I hope they work. I used the pit file from your guid. I flashed an older firmware version (lollipop) and still got the same message. But now my phone boots normaly ! you just saved my phone from dying…thank you so much! Gracias !!! Volví a Stock despues de Cyanogenmod 12.1 y me encontré con “Ext4 Image error”. Thank you very much! I returned after CyanogenMod 12.1 to Stock and found “Ext4 Image error”. Many thanks dude, you gave me a real solution after hours !!! THKS! Thankx Buddy….I have been stuck to this error for whole night, but then found your solution. It works 100%. Only experience I want to share is that the user needs to correctly Install the official Samsung mobile drivers then install samsung kies and DO update it from Tools/Help. This is how the PC will run ODIN properly while detecting ur device or in my case Note3 N9005. Look sir, i may be a bit late, but if you could help in any way possible, i’d be really grateful. i’d like the pit file for the GM530T1, it would help me fully restore the rom on my phone, seeing as how its soft bricked cause of me rooting it and geting blocked by the FRP. thanks. Have you tried installing te firmware without PIT? Can you show me the Odin screen? Btw the extracted filed are marked as opens with internet explorer, should i change that? Hey Guys, I need pit file for Galaxy J5 J500M/DS. Thanks. Wow. Honnestly, saved my life! Kinda pannicked when it failed and couldn’t boot. Thank you! Utilice otro firmware. y siga el mismo proceso por odin. Where did you find the pit file? I need a Pit file for Samsung Galaxy S5 16 GB, Norway. I can’t find it anywhere on Google. 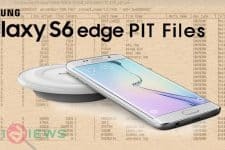 Did you find a pit file for S5 16GB Norway?